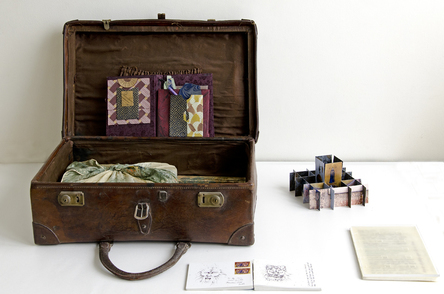 ​Traversing Space – a half hour tour of the exhibition by Curator Susan A Christie. Immediately followed by Katharine Kreisher's PowerPoint Presentation of her "Dream" Installation Series. She will discuss her work and art-making process. 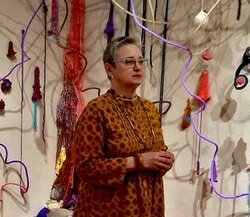 Katharine will include a brief tour of her Installation, Hekate's Dream, in the Museum Gallery. 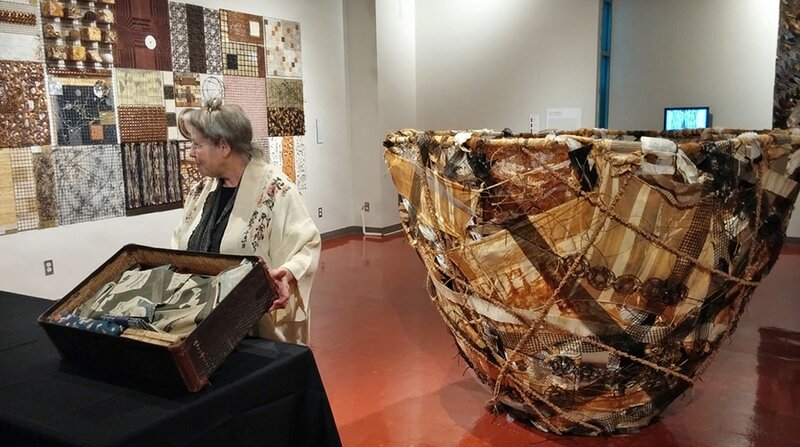 ​Gail Rieke is an internationally recognized collagé/ assemblage/ installation artist and teacher who lives and works in Santa Fe, New Mexico. 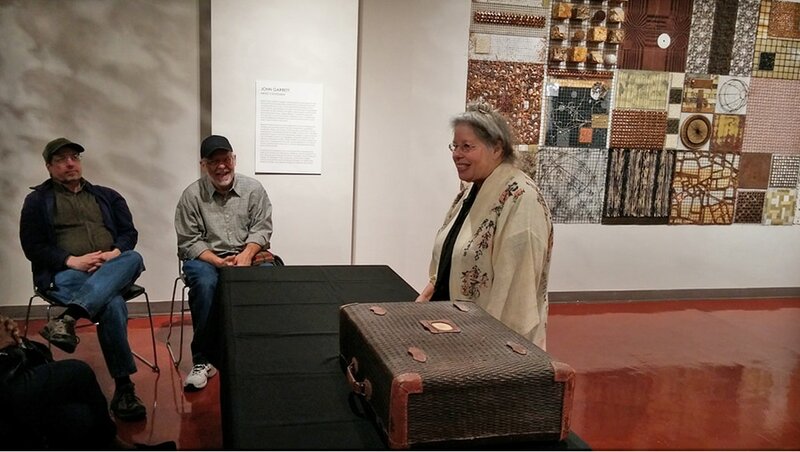 Gail will "unpack" an antique suitcase, which she has intentionally "packed" with a collection of artifacts, while she tells the story of the unique travel adventure found in it's contents. An intimate example of "Transforming Space", this unique environment embodies the seen and the unseen reflecting the Japanese sensibility of "keeping some of the best things hidden from view." Representing the delight of the unexpected and mirroring the experiences of a particular journey, these "memories" come alive thru the contents of the suitcase and Gail's accompanying stories.